Earlier in the week, I was invited by Bud Cosmetics to try out their new facial service using products from the multi-award winning British skincare brand, OSKIA, which is said to be a high performance nutritional skincare range that combines bio-science with natural formulations. This premium skincare range should excite many of you as it did for me because it is one that contains cutting edge bio-actives such as MSM, Swiss Apple Stem Cells, Niacinamide, Milk Peptides and Prebiotics. So OSKIA has something more than just purity and safety to offer as it is a natural range which can deliver the results comparable to the chemical based brands. I was also glad to learn that the beauty philosophy of Georgie Cleeve, the creator of OSKIA, is all about beauty from inside out. Interestingly, she has developed the entire skincare range around MSM, inspired by the miraculous recovery she made after using MSM supplements (developed by her father’s company) for damaged cartilage – as well as a dramatic improvement on her eczema. Hence, the OSKIA range is formulated on the basis of using the right botanical and bioactive ingredients to accelerate cellular renewal. OSKIA uses 98% natural or nature-identical ingredients, contain no skin unfriendly ingredients, are paraben free and are suitable during pregnancy. And oh ladies, this is a range you can share with your man because it also said to be unisex and is suitable for both gender. 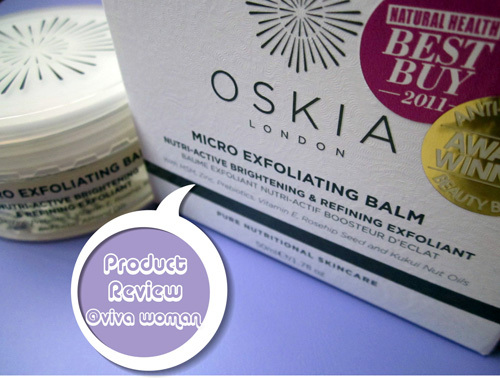 The OSKIA range are however not certified organic by any certification board for the simple reason that certification dramatically reduces the amount of active ingredients available to use. 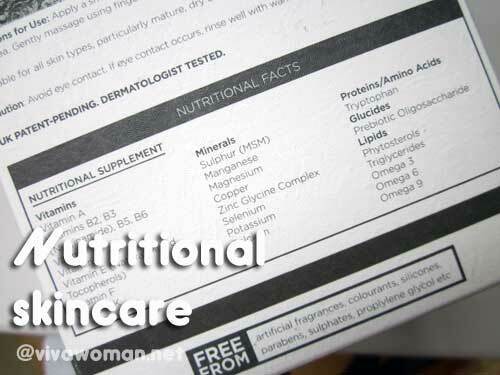 Hence, the brand only chooses ingredients that work, not ingredients due to their organic certified status. So the facial I tried is dubbed the OSKIA Glow Facial, a signature treatment designed exclusively for OSKIA by renowned UK therapist Abigail James. This is a radiance boosting treatment combining specialized facial and eye contour massage techniques, lymph drainage and acupressure to lift, relax and contour the face and increase nutritional ingredient transportation. It lasted slightly over an hour and featured an indulgent warm rose oil massage to hydrate and smooth, followed by the range of OSKIA products to accelerate cellular renewal. And the end result for me was a more plumped up, hydrated skin texture. 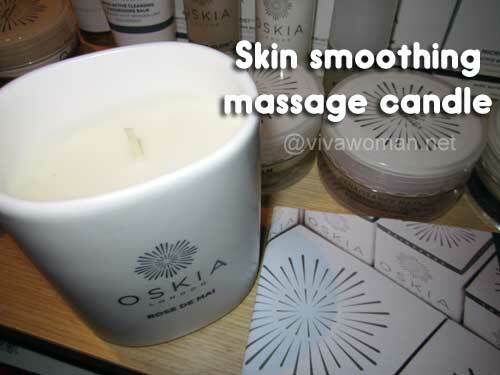 What was interesting for me during the treatment was the usage of the OSKIA Skin Smoothing Massage Candle. I was rather intrigued when I heard about it and started wondering if I’ll get candle wax dripped on my face. The product is indeed a candle but the treatment process was not anything I’ve imagined. What really happened was that the therapist poured the melted candle into her palm to massage into my skin. It’s just warm and not hot so my skin was not in any danger of being scorched. And interesting, the candle contains coconut oil and so that actually helped to nourish, soften and hydrate my skin. Additionally, the candle contains beautiful natural fragrances and that really helped to relax my senses because I kinda fell asleep during that stretch. 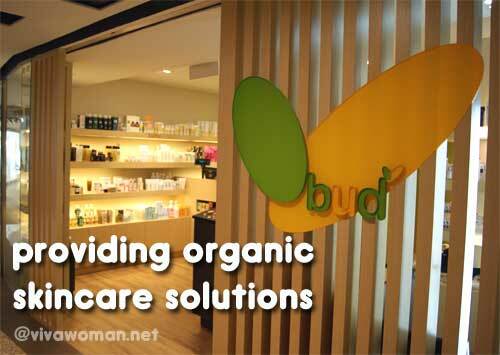 You can check out the OSKIA range of products at Bud Cosmetics at #03-32, Mandarin Gallery or #01-66 Square 2. 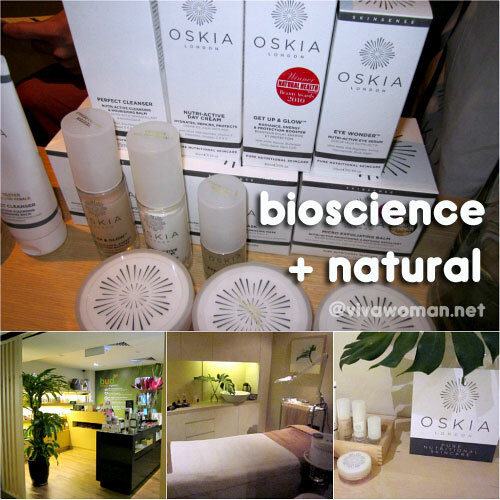 The prices of the OSKIA range are rather high; from S$80 for their Perfect Cleanser to S$180 for their Bedtime Beauty Boost. However, if you know something about ingredients and are in the search for quality products, you’ll probably find the prices justifiable. I was told their best sellers are their Skin Smoothing Massage Candle at S$84, Eye Wonder at S$140, and the Get Up & Glow at S$160. I’ve been trying out the samples for the eye product and should be able to review it in a couple of weeks’ time. So you’ll want to keep an eye for that! 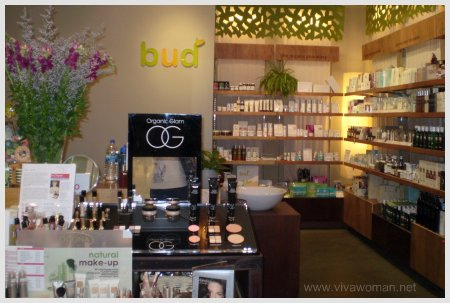 Bud Cosmetics is offering Viva Woman readers a special price of S$158 for the OSKIA Glow Facial (usual price $198). As part of the offer, you will also receive a special Eye Lymphatic Drainage massage worth S$29. 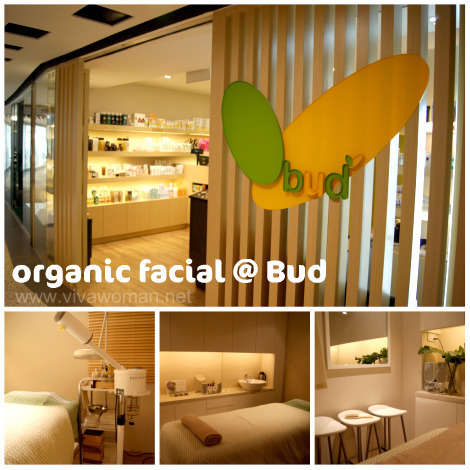 Offer is valid till 30 April 2012; just mention you read about this facial via Viva Woman. Previous Post: « Share: avoid contact when you don’t look your best? Will be watching out for it. My current eye cream is running out so would be interested to know how you’ll find their Eye Wonder (first time I’ve heard of OSKIA). I don’t mind the price since I’m usually willing to invest more on eye products. It’s quite a new brand…looks promising. I’ve tried their Eye Wonder which I bought in London… and I really like it. It’s really light on the skin but I feel the skin around my eye area gradually firmer after 3 days, and looks brighter too. I’ve tried many eye gels, both commercial and organic, and I have to say this has been one of the more impressive ones I’ve tried. But it’s a little more expensive…so I use it very sparingly each time!